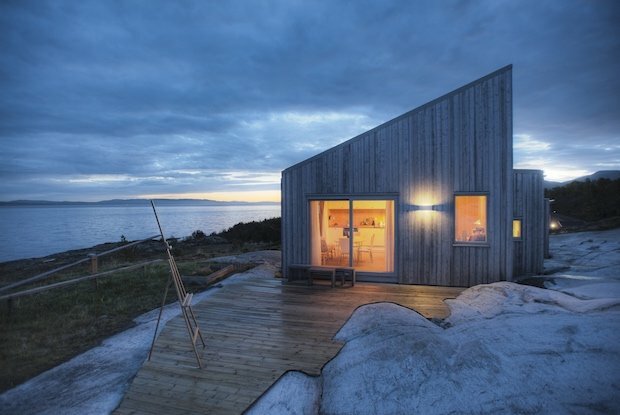 This beautiful 60 square meter cabin is located somewhere in the island of Skardsøya in Norway. 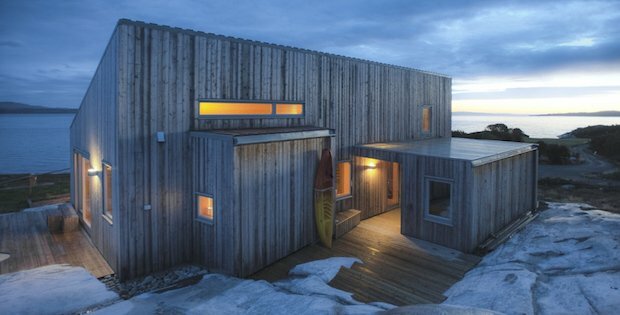 While it is designed by top Norwegian architectural firm TYIN Tegnestue, what is unique about this abode is that the owners built it themselves. The exterior’s spruce boards were harvested from trees from the owners’ own land. 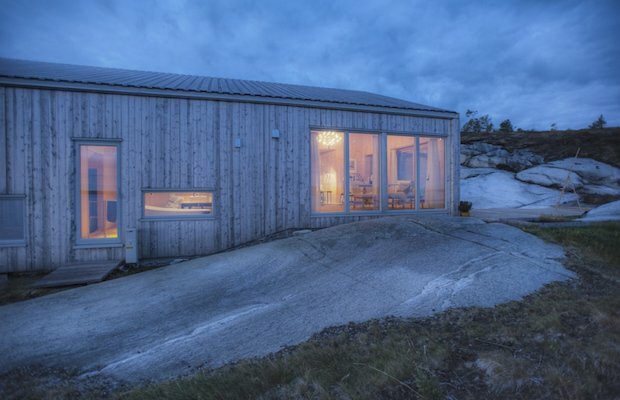 The cabin cleverly conforms to the sloping rock from where it is built, as opposed to having to blast the rocks for the construction. 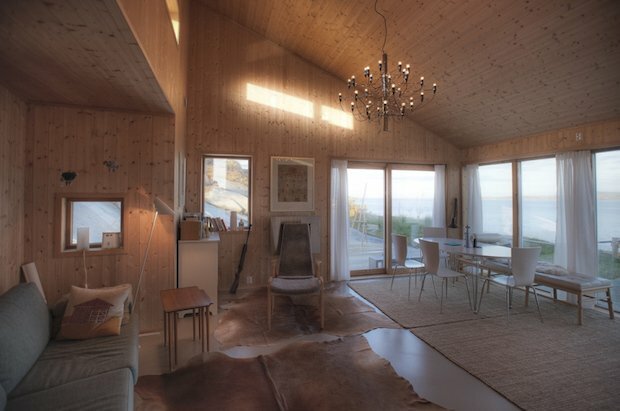 The property looks out to the sea amid a pine and juniper forest. 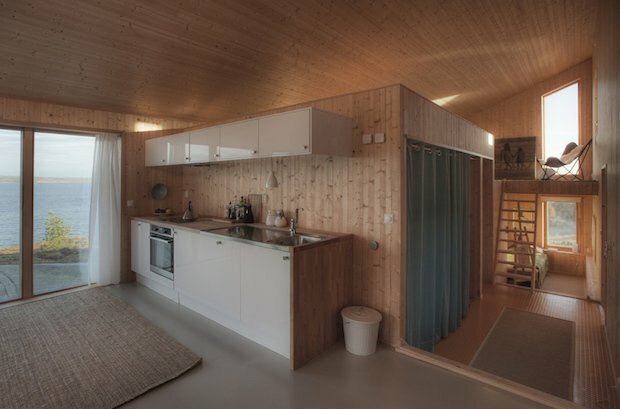 By keeping the cabin low to the ground with glazed openings extending down to the floor level, the architects created a very strong visual connection between inside and out. Sitting in the living room, you can easily see the ground surface right outside. 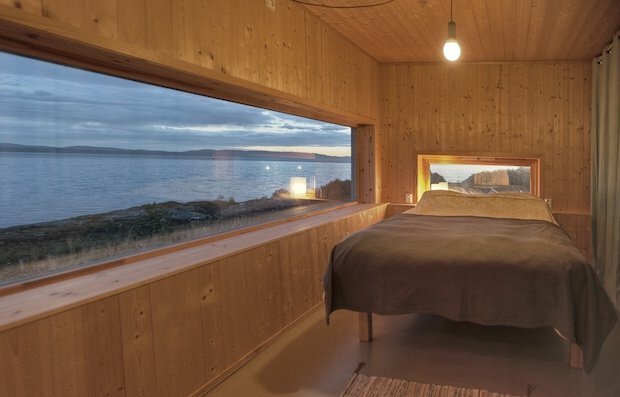 Windows are also perfectly placed to allow panoramic views while bathing or while lying down in the main bedroom.